I want a nice keyboard for my ipad. And finally I´ve came down to these two alternatives. But now I don´t know wich one to choose. Plus for the Roland is the Bluetooth midi function. And plus for the Irig Keys is the audio interface and alot of Sampletank stuff. But I already have a interface(Zoom u-44). So what do you people think? Is there any delays on the bluetooth? There’s also Korg Mucrokey, which has very nice action in the keys, Bluetooth enabled. I have irig keys io, and it’s a great piece of gear, also with optional mic. Works great with all my apps, and Mac. Some places are throwing in the mic. Also powers iPad. It's looks like it has so small keys. How good is the mic? Is it Okey for some vocals? 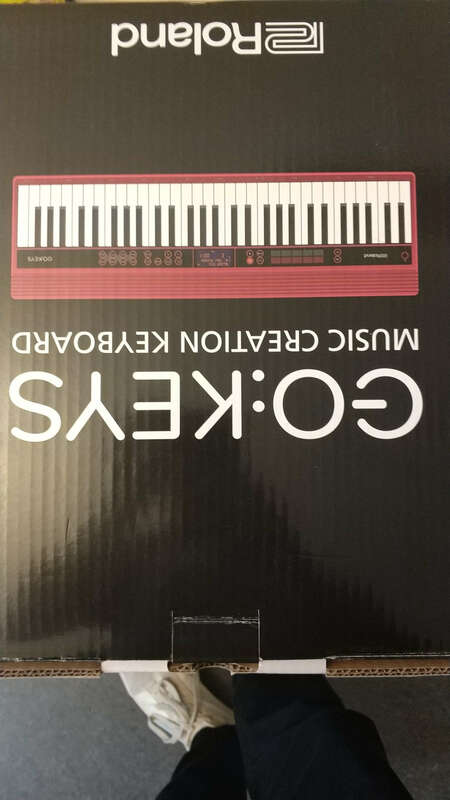 I have the Korg nanokey studio and just recently picked up the Korg microkey37. The keys are really nice for smaller size. If you have large hands it could be an issue. I had a mpk25 the newer one but found it too bulky for my space. The audio interface on the irig I wouldn’t expect to be very good quality. I would probably go with the Roland controller. There is a very small amount of added latency with bluetooth MIDI. I just set the buffer low and you won’t notice it. I sometimes play fast and percussive so it would be an issue for me if there was bad latency. I don’t use the Roland:GO though, I’ve used 2 other bluetooth keyboards though. If you try to send it bluetooth audio there will probably be bad latency. I’d probably pick the Roland as you’ll have a backup sound source, can’t always trust the iPad not to crash. One thing I would want to know is how easy is it to switch MIDI channels on the Roland? I would guess that the IK product it’s pretty easy to switch MIDI channel. I also really prefer 61 keys over 49 most of the time. You can probably make a simple portable setup taking the headphone out of the iPad into the aux in of the Roland. Have some speakers and easily make music anywhere with little hassle. If it’s anything like what I got for the iRig MIDI 2 the free stuff you get for SampleTank isn’t really worth it. You still have to buy the app and then you’ll be bombarded with tons of IAPs and ads for products. I’d imagine that the IK I\O would be a good way to avoid dongle hell and would be perfect for a simple setup involving an external mic or some other piece of gear. It doesn’t matter how nice the mini keys are, or what size your hands are, if you are used to full size keys you will stumble over mini-keys. Actually the interface on irig keys is excellent. The mic is not first class, but wil get by. Codec: SBC (Support to the content protection of the SCMS-T method). It seems like Bluetooth audio into the GO:keys. But not simultaneously with midi in I guess..
Yeah, Bluetooth audio would be addressed like any Bluetooth audio devices in the Bluetooth settings. Bluetooth MIDI is always addressed in a different way. You need an app that will configure th Bluetooth MIDI to connect it. Many apps handle this so it’s no big deal. You can just use the aux in on the Roland Go Keys and not have to deal with bluetooth audio. Those little speakers will probably come in handy, even if they aren’t that great. And now I found this: Yamaha MD-BT01 bluetooth. Now I can just make any keyboard with in and out midi to be bluetooth compatible. 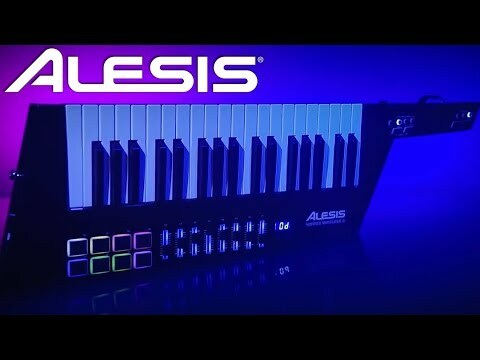 It makes the field of choices even bigger..
Have you considered Arturia keystep and alesis vortex mk2? Ehm, actually maybe it’s just the uk thing but we are well and truly entering the late 80’s early 90’s revival. But seriously, when you put it down it’s just a keyboard! It has built in usb protocol wireless transmitter. Tilt sensor and after-freaking-touch! I understand you might me a sit down and play kind of muso but man, I’m going to get me one of these when my wallet’s ready. I’d very much like a keytar (if you don’t count the fact that I’ve got a Yamaha SHS-10), but it would need to be left-handed. And ideally, the keyboard itself should be left-handed also, too, as well. I have/had the original wireless vortex (meaning I left it at my brother’s house miles away). The keyboard feels really really awful to play. It’s synth action but the keys go down really deep so it’s awkward to play. Hopefully they made it better, it might be the worst full sized keyboard I’ve ever felt. The accelerometer is pretty iffy too, I would always turn that off or use it as a temporary joke. I did go to a gig with it once, but it was just on top of another keyboard and I never strapped it on. Ha ha! That´s why we had to choose when I was a kid in the late 80-ties(in Sweden). Either you where with the Synth-guys or you chosed the hardass-guys on the hard rock side. You had no alternatives. So for me it became the hardorck side, weak as I was. But I secretly admired the synth-guys and there music. But the elder I became and without the grouppressure from friends I realized that I didn´t had to chose sides anymore. I could listen to synth music if I wanted to. And now I´m sitting here tweaking knobs in an iPad, pushing keys on a keyboard and talking midi and having endless discussion here about the best DAW and synth out there..
And now I listen to everything really. Even HipHop(witch is my new side I´ve chosen ). And with the exception of some freebasing jazz music. I want to finish work so I can test my new Roland go:keys tonight!